Brett Needham and Tyler Garcia share the title of October Employees of the Month! They are both wonderful examples of positivity to our students. Brett Needham is one of the Administrative Assistants in the RJHS front office. Brett was nominated by Luke Humphreys and Ronda Khamsourivong . In their nominations they said, "Brett is always a warm and welcoming voice in the office. She is the perfect amount of helpful and hilarious for those who work in the building and those who are just visiting. Too often we forget the people in the office who go above and beyond in order to make everything run smoothly for the rest of us. She should defintiely recognized for all she does!" Tyler Garcia is a Special Education teacher at RJHS. She was nominated by Michelle Gregory. Mrs. Gregroy said, "She is what our department needed. She has come in with a fresh perspective on how to work with the students in her care. She has created and provided a safe and secure environment for her students and has been a pleasant addition to our small little area." Justin Contreras is the October Student of the Month! He is a 9th grader and the son of Osmond Enriques and Carol Portillo. Justin was nominated by Haley Jackson and Ronda Khamsourivong. They said, "Justin continues to impress everyone with his positive attitude and uplifting spirit in the hallways. There is not a second this kid is not smiling and greeting everyone that he encounters! As a 9th grader, he honestly embodies the respect we all expect adults to carry. He is kind, genuine, and has the ability to put others in a better mood by his presence alone. He is a natural leader that even we as adults can learn from." 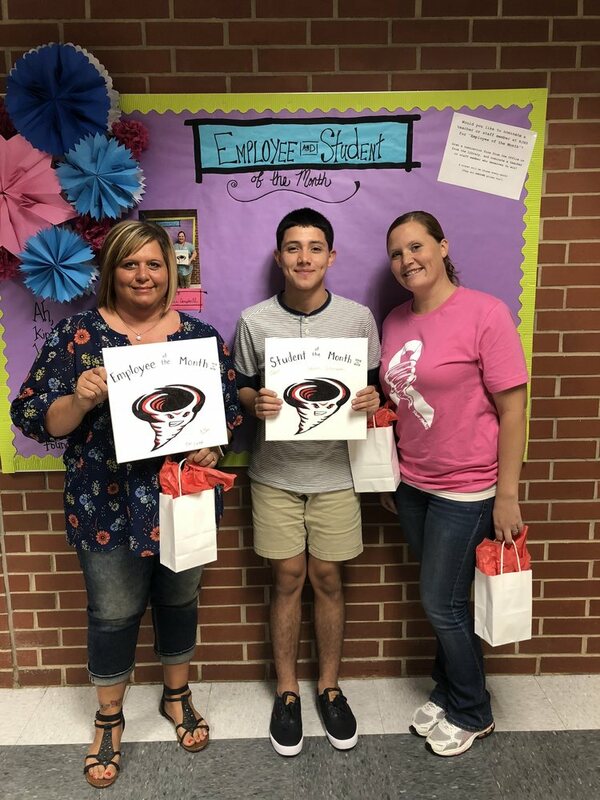 RJHS wants to say a big congratulations to Mrs. Needham, Mrs. Garcia, and Justin Contreras!